"A very chewy loaf with the goodness of whole grain sweetened with maple sugar on top and a cinnamon taste to savor with your morning breakfast or afternoon tea." Preheat oven to 350 degrees F (175 degrees C). 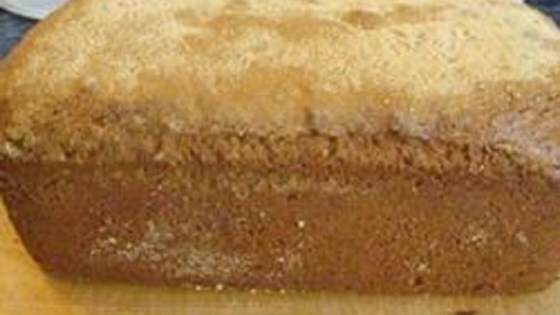 Grease a 9x5x3-inch loaf pan. Whisk flour, cinnamon, baking powder, and baking soda together in bowl. Combine nugget cereal and light cream together in another bowl. Beat eggs in another bowl until light and frothy. Stir cereal mixture, white sugar, and eggs together in a large bowl. Add flour mixture to cereal mixture and stir to combine batter. Pour batter into prepared loaf pan and sprinkle maple sugar over the top. Bake in the preheated oven until a toothpick inserted into the center comes out clean, about 40 minutes. Run a knife along the sides of the pan to loosen the loaf; tap pan gently while tilting the pan to turn the loaf out onto a wire rack. Cool completely.